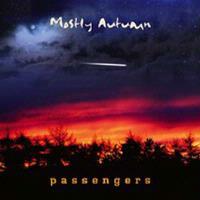 Mostly Autumn is billed as the new Pink Floyd. The new Pink Floyd might arguably be RPWL, but there is still some truth to this statement. Yet, to say Mostly Autumn is nothing more than derivative would be extremely unfair. They are so much more. The band offers a fresh twist on Pink Floyd, and they incorporate many new ideas of their own. Aspects of their music certainly sound like Pink Floyd, especially in the lush keyboards laid down by Iain Jennings or the Gilmore-like guitar playing by Bryan Josh. There is definitely a Pink Floyd influence going on here. However, there are vast differences as well. Their lead singer, Heather Findley, has an adorably angelic voice. It is so stellar and stunning that Arjen Lucassen brought her into the fold of his Human Equation project. She didn't squander the opportunity and actually wound up being the surprise hit of Arjen's album. Unless somebody knows something that I don't know, Pink Floyd never had a female vocalist and Mostly Autumn actually has two. Angela Goldthorpe sings the backing vocals and even contributes flutes and recorders. You'd be hard-pressed to find her voice or her instruments in a Pink Floyd mix. Liam Davison provides additional guitars, Andy Smith plays the bass, and Jonathon Blackmore is on drums. With such a complete cast, it is even more of a surprise to find Iona's Troy Donockley, Threshold alumni Damian Wilson, cellist Marissa Claughan, and violinist Chris Leslie on many of the tracks. All these contributions result in a sound with both breadth and depth. This is a terrific choice for an album opener. It starts out with an atmospheric passage that lingers and feigns before it suddenly picks up the pace without a moment's pause. This is merely a move to psyche out the listener, and it's quite effective. Iain's agile ivories grab us by the hand and lead us into the music. The composition is a cross between Heart, Pink Floyd, and a tad bit of Dream Theater. This song is very well-written and one of many favorites off the disc. Bryan sings the lead. Aside from a chorus that is an upbeat embodiment of Tom Petty and the Heartbreakers, the rest of the song evidently epitomizes Pink Floyd. Iain's piano playing here is a bit like The Beatles' "Let it Be". The rest reminds me of Peter Cetera's Chicago. The song is enchanting, but disheartening at the same time. The lyrics and the manner of the music express dire sadness. Take Epica, Asrai, Aina, Nightwish, and even After Forever then tone them down a touch. You'll be left with this burnt offering. It's not all fire and brimstone as the result is pleasantly bittersweet. This downbeat ditty is brought to a higher place by Heather's voice, the violins, and a flute. This is a loud and looming rendition of Jethro Tull's "Aqualung". The Heart element is back in full swing. Angela's flutes rival those of Ian Anderson's. This song is completely different from the last. The change of pace works very well and keeps the momentum going strong. This is Pink Floyd with subtle neo-progressive and Celtic elements thrown in. The song is slow, but rolls with the weight of a torrential tidal wave. As it continues along, it picks up speed and girth. The fusion of melodies churns like the frothy broth of a buttermaker. The end sequence is reminiscent of RPWL's past identity, which went by the name Violet District. As the album continues, it is hard not to make the Pink Floyd comparisons. The guitar playing in particular is spot on. Then again, Heather's voice is something new to this kind of sound. It would come as no surprise to find Heather in Ann and Nancy Wilson's family tree. While the familiarity is there, her voice is pure and pristine, not showing the wear of a rock singer. To her testament, she never pushes a note and hits each one with ease and grace. The title track is a mellow song. Heather's singing is a bit like Annie Lennox's "No More I Love You's". Iain plays a stream of notes on his piano while Bryan takes his time on an acoustic guitar. While it appears this ballad will steer clear of Pink Floyd, the piece makes an unmistakable return to this territory smack dab at the end. This might be my favorite song on the album. Right off the bat it has a tremendous amount of mood. The guitars and keyboards will remind the listener of Dave Bainbridge from Iona. The shifts in the late sequence are more along the lines of RPWL. The song sends shivers up my spine on each and every time. The switch over to this track is brilliant. This song really steps on the throttle. The guitars pound like the pistons of a locomotive. Its furnace is scorching from a fresh supply of coal. Heather is a disco diva on fire. This is most definitely music that's suited for a dance club or an aerobic studio. I dare you try listening to this song without flinching. It will make you want to get up and run laps. This is another clear favorite of mine. There are numerous solos from Iain that are sweet and sugary, coated in a hard candy shell. This one will melt in your, hands, and all over your clothes. There is a lot to go around and this will be one sticky mess. Like a child you'll be grinning from ear to ear after being doused with this piece of candy. This sequence is short, succinct, and to the point. The duet between Heather and Bryan is incredibly stunning. The acoustic guitar and flute to follow are both fabulous. When the harmonies return, a piano and whistle unite with the others. This part helps set the mood for an evening of peace and quiet. It will certainly come as a surprise when something goes bump in the night. Just as "Distant Train" made an abrupt transition into "Answering the Question", this part comes straight out of nowhere like a rabid bulldog. Bryan's singing and an organ come to the front of the mix. Jonathon pulls no punches on the drums. The violins scream like fingernails on a chalkboard. Troy's whistles squeal as this roller coaster of sound engages its brakes. When this part eventually comes to a stop, we are left to admire a gorgeous view that overlooks the treetops. The last part is upbeat and cheery with a small ration of folk. One verse in particular reminds me of the line, "and I feel fine" from R.E.M. 's "End of the World as We Know It (And I Feel Fine)". From the captivating start to this charming finish, Passengers is breathtaking with little to no exceptions. The album is the answer to those who waver between commercially accessible music and progressive rock. This is highly recommended to those who like Heart and Pink Floyd or just about anybody with good taste in music.